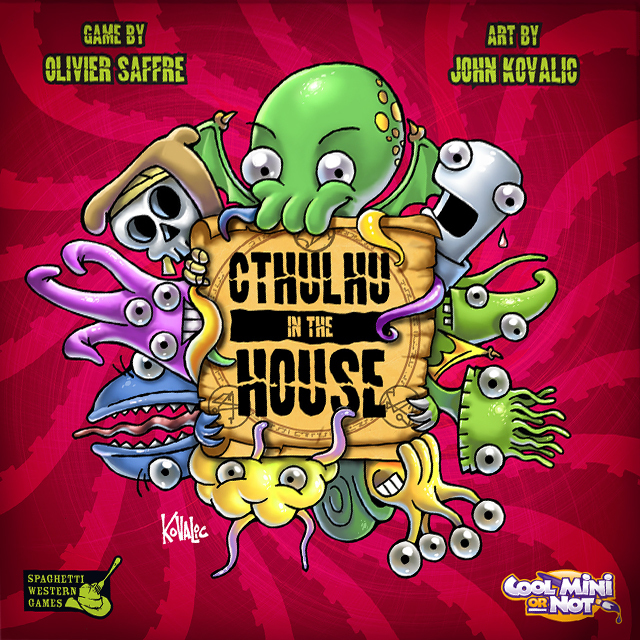 The game is based on the Rumble in the Dungeon and Rumble in the House games from Flatlined Games. Spaghetti Western Games is getting in on the action as well (it's like a super-group of a game). In the game, various Old Ones are looking to see who will be able to last the longest (becoming an even Older One, I suppose). You must keep your identity secret from the other players, lest you find yourself ousted from the house. If you feel the heat getting too high, jump in a portal to safety. Or use them to gang up on other Elder Gods. The game will be available for the first time at the CMON booth at Gen Con. John Kovalic will also be around if you'd like to get your game signed (times to be announced for when he'll be in the booth).